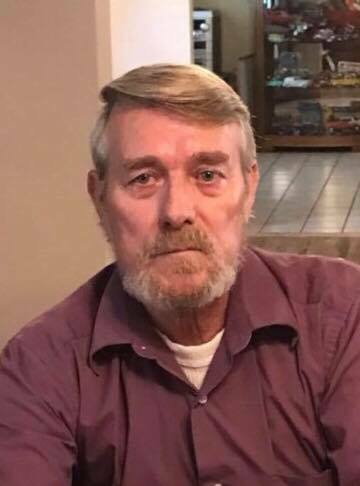 Calvin Jude, age 63, of Inez, KY, passed away Tuesday, January 22, 2019 at his residence. He was born July 31, 1955 to James Henry Jude and Virgie Jude Fletcher. He was a beloved husband, father, grandfather, son, and brother. He enjoyed hunting, fishing, and talking on the CB radio with his family and friends. He is preceded in death by his father James Henry Jude and his brother, Joseph Jude. He is survived by his mother, Virgie Jude Fletcher, his wife, Betty Sue Jude, his three children, Rachel Smith of Lexington, KY, Ricky (Chasity) Jude of Louisa, KY and James (Amanda) Jude of Davella, KY, his grandchildren, James Austin Jude, Katelyn Jude, Morgan Jude, Lucas Jude, Santanna English, and Madison Jude, and his two brothers, Andy (Bertha) Jude of Tomahawk, KY and Danny (Amanda) Jude of Van Lear, KY, and one sister, Betty Ann (Chris) Preece of Tomahawk, KY. He is also survived by several nieces and nephews. Funeral services will be held Friday, January 25, 2019 at 11:00 AM in the chapel of Crum Funeral Home. Burial will follow in the Jude-Maynard Cemetery, Route 292, Spring Br. Friends may visit at the funeral home on Wednesday from 6 PM to 9 PM and all day Thursday. Arrangements are under the direction of Crum Funeral Home of Inez, KY.